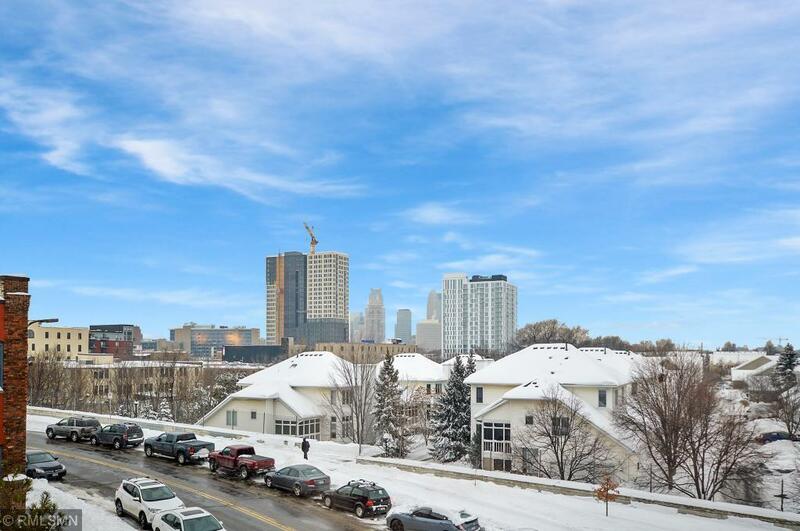 Amazing skyline views of downtown Minneapolis from this top floor condo! 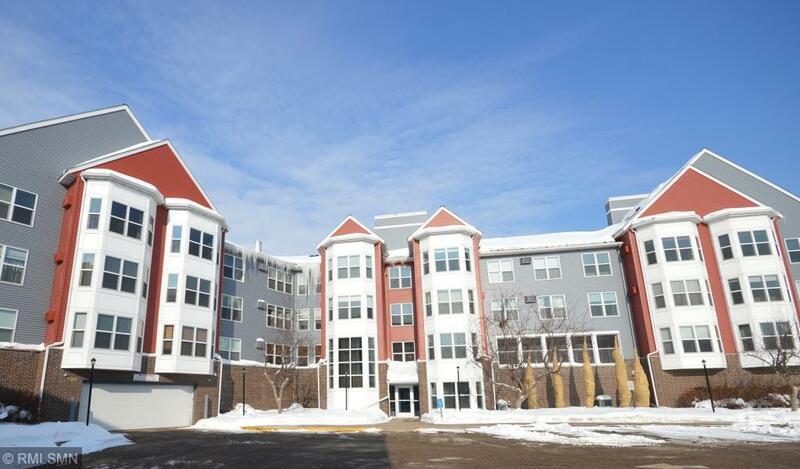 A convenient location not far from the University of Minnesota, St. Anthony Park, and an abundance of Minneapolis cuisines and coffee shops! 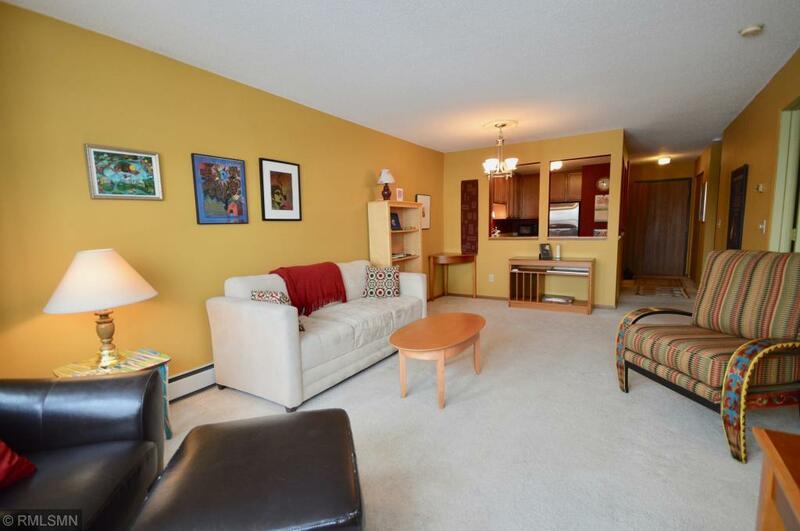 This is a corner unit that shares walls with stairs and utilities but no other residents for great privacy! This condo features two bedrooms - both with views, an updated kitchen with stainless steel appliances, in unit washer and dryer, and a main bedroom walk-in closet. Well maintained by previous owners and ready to customize to your liking. 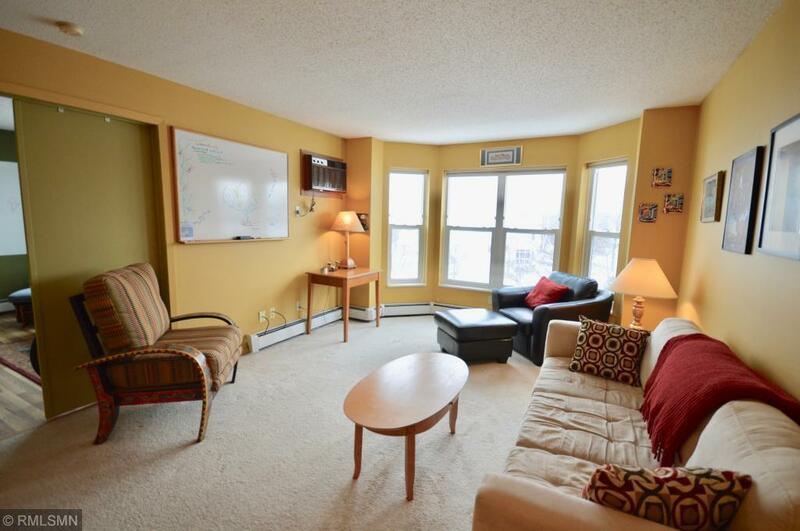 Underground parking and an additional storage space are included in the purchase! JUST ADDED high efficiency windows and new exterior.